Richard Mille has unveiled another new “friend of the brand”. The line-up is already stellar; it includes the likes of tennis ace Rafael Nadal, the long driving golfer Bubba Watson and racecar driver Felipe Masa. Now Oscar winning actress Natalie Portman joins this elite group. She put in an appearance at an exclusive dinner at New York City’s St. Regis Hotel. Natalie Portman won the Oscar and Golden Globe for her lead role in 2010′s thriller Black Swan. 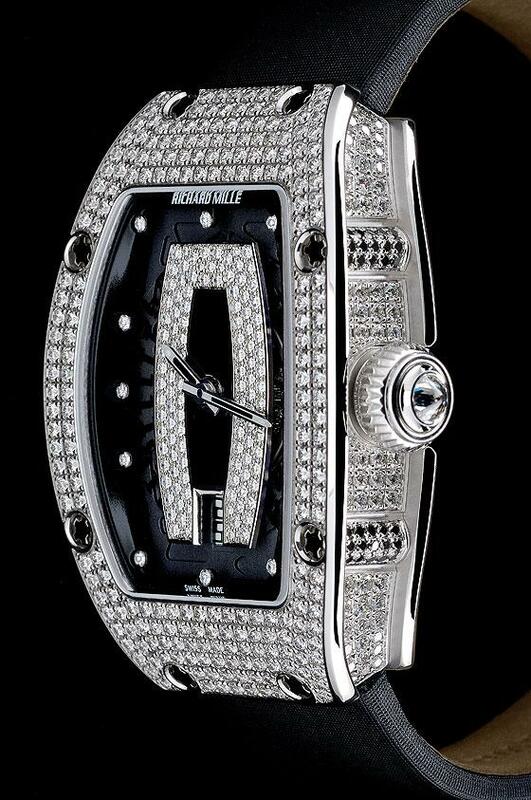 Her glittering watch is the Richard Mille ladies’ model, the RM 007 Automatic. The watch has both a natural rubber and synthetic strap options. The reason for the lavish celebrity filled dinner was announced by Richard Mille. The celebrity firned of the brand will be working with him to develop a limited-edition timepiece proceeds from which will would support the international charity, Free The Children. Richard Mille regularly gets involved with philanthropic causes, often in cooperation with its partners. Richard Mille watches have come to the support of Jackie Chan’s Dragon Heart Foundation, which aids children in remote areas; the Rafa Nadal Foundation, which provides opportunities for socially disadvantaged young people; and Sentebale, founded by HRH Prince Harry, which supports orphans and vulnerable children in the African nation of Lesotho. Natalie Portman is working with visionary ‘Tree of Life’ director Terence Malick on two movies, Knight of Cups and Lawless, and will reprise her role as Jane Foster in Thor 2, a sequel to last year’s Thor and this summer’s The Avengers.